With backpacking, there's no reason to leave the trail - GetGoing NC! Fall is our favorite time of year to go backpacking: temperatures are cooling, the forest is alit in color, the air is dry, the chance of rain is greatly diminished. It’s a great time to be on the trail — and to stay on the trail. That’s one of the many joys of backpacking: once you’re on the trail, you don’t have to leave. Stay a night, or two or three. If you’re already a backpacker, we’ve got some great trips planned for fall. Some are ideal for folks new to backpacking (Intro to Linville Gorge, the Neusiok Trail), some are for more experienced backpackers (Joyce Kilmer/Citico Creek Wilderness). Then there’s the Appalachian Trail trip from Carvers Gap to 19E, a trip that should be on every backpacker’s resume. If you’re not a backpacker, there’s no better time to start, and no better people to start with than us. If you’re intrigued by the notion of backpacking but need to dip a toe in before committing, we have our new Overnight Sampler. If you’re pretty sure backpacking is for you, check out our comprehensive Intro to Backpacking class. Either way, fall’s the time to backpack. We hope to see you on the trail. For additional information on each event, click on the link below. 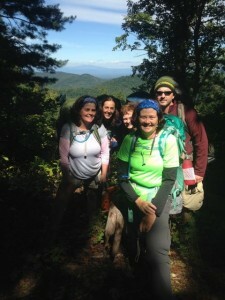 Intro to Backpacking, September session. Our comprehensive learn-to-backpack program includes a two-hour session on gear and how to pack a backpack; a six-hour session at Morrow Mountain State Park where be go over everything from setting up camp to cooking to hanging food, to breaking down camp; and, finally, a weekend graduation trip to South Mountains State Park. GetBackpacking! 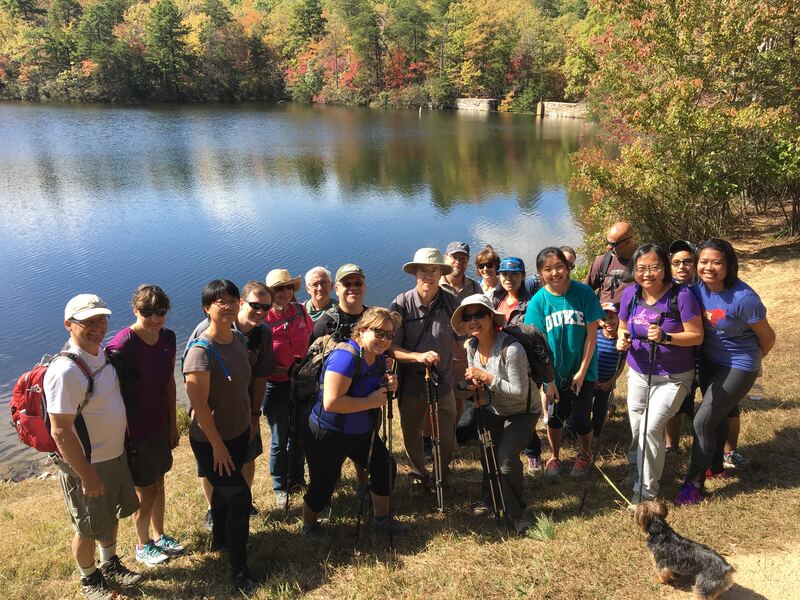 Overnight Sampler, Sept. 15-16, Eno River State Park, Durham; Oct. 20-21, Raven Rock State Park, Lillington. You like the idea of backpacking, but you aren’t ready to make a full-on commitment — you’d like to take a test-drive first. That’s what our Overnight Sampler is all about: we provide the key backpacking gear and food, you get to see what it’s like to hike in a full pack and camp in the backcountry overnight. GetBackpacking! AT from Carvers Gap to 19E, Burnsville. Sept. 21-23. 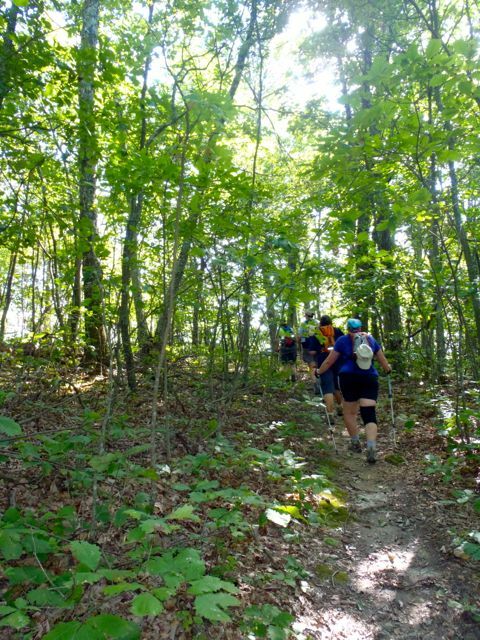 A two-night, three-day 14-mile trip that may be the most scenically spectacular run of trail in North Carolina. 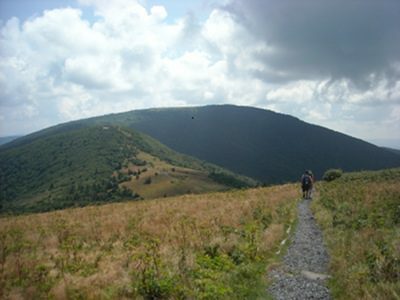 We start at Carvers Gap and top Jane and Round balds right off the bat, meander through forests of mountain ash, then encounter more stunning views from atop Little Hump and Hump mountains. GetBackpacking! 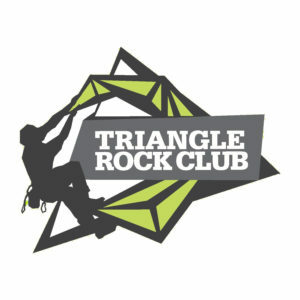 Intro to Linville Gorge, northwest of Morganton, Oct. 5-7. Linville Gorge can provide a rewarding (and intense) immersion into backpacking. But on this trip, we’ll take a more relaxed approach, setting up basecamp on Shortoff Mountain, then day packing into the gorge. Joyce Kilmer/Citico Creek Wilderness, Oct. 25-29, adjoining wilderness areas in North Carolina and Tennessee near Robbinsville. Its remote location and ruggedness helped spare this area from extensive logging, making it an easy choice for Wilderness designation. Participants will play a role in the actual planning of this trip, at a two-hour planning meeting a week before the trip. Neusiok Trail, Croatan National Forest, New Bern, Nov. 30-Dec. 2. Late fall is the time to hike the coastal Croatan National Forest. Pesky flying things and slithering denizens of the dirt are kept at bay by the cool weather, and the fall color continues to linger along this 21-mile trail that starts all coastal but delivers some surprising twists at the end. For more information on our fall 2018 programs in general, go here.